MHI Melton Deck Jacket - Urban clothing & apparel at Electrowear. This is a Deck style Jacket from MHI clothing brand, This Jacket comes in black with front buttons & a concealed zip closing, it has side slant warmer pockets, it also features the shooter panel style on the right shoulder. 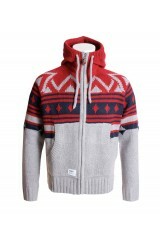 This Jacket features the yoke style at the back, this is another design that has that military look & feel! 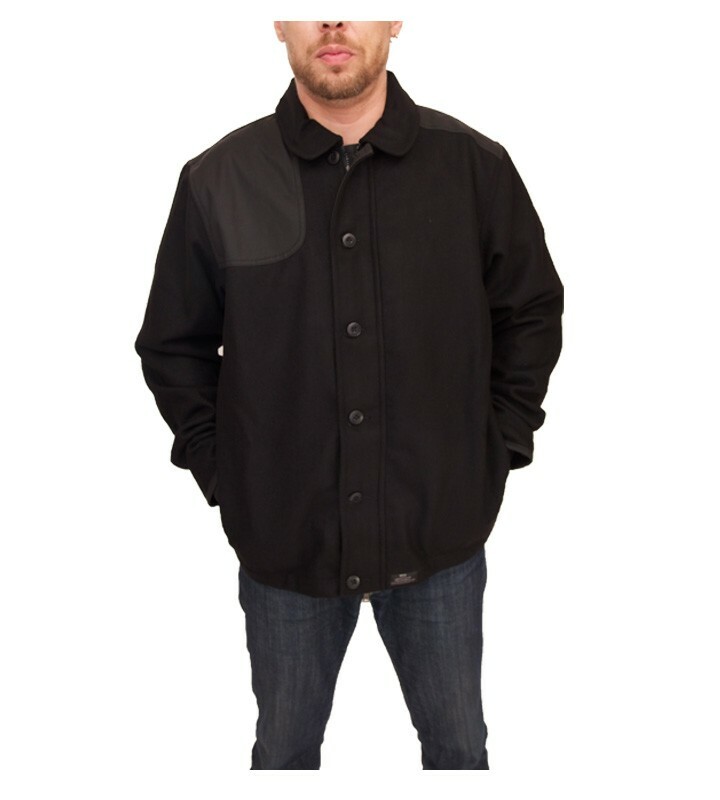 The collar can be worn folded over or up high on the neck with unique side button tightens, this jacket carries the MHI logo branding badges on the front waist & inside collar, It has elasticated ribbed cuffs & is made from 100% wool.